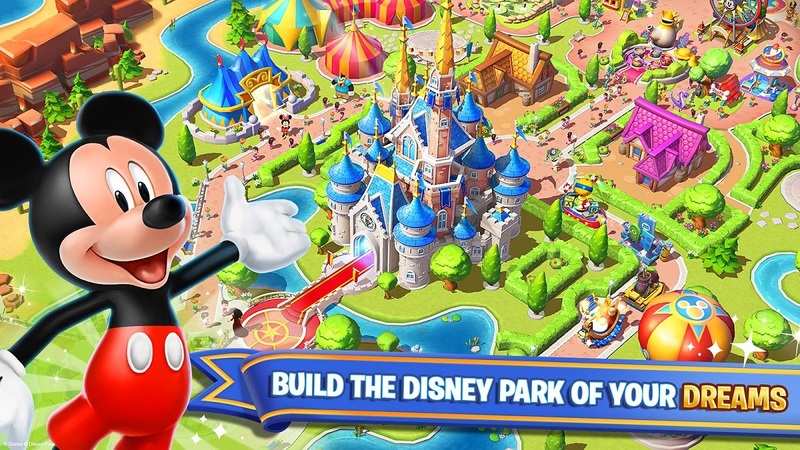 Gameloft’s new Disney Magic Kingdom now available for iOS, Android and Windows Phone. This is a theme-park themed game, which will be about managing a Disney theme park, filling it out with many characters including Maleficent, Mickey and Donald etc. When Maleficent casts an evil spell on the Kingdom, ridding it of all of its powerful magic, can you help bring it all back? Relive the thrill of Disney Parks and create the most fantastical Park of your dreams in Disney Magic Kingdoms! • Charming attractions such as “it’s a small world,” the Monsters, Inc. Laugh Floor and Space Mountain from Disney Parks from around the world, including Disneyland, California Adventure, Walt Disney World, Tokyo Disneyland and Disneyland Paris! • Dazzling new attractions such as WALL-E’s House and Cyclops Sushi — all uniquely inspired by their movies! • Share spectacular moments with beloved characters such as the ever-optimistic Mickey Mouse, the spirited princess Rapunzel, brave space ranger Buzz Lightyear, the sweet and sassy Tinker Bell and more fun characters! • Collect memorable Disney-themed items to free each character from Maleficent’s evil spell! Come play the most magical free game on mobile — a great family adventure! It’s your world for the making!